This “trouble” for just being themselves can turn good, positive, motivated, enthusiastic learners into, well, trouble-makers! They are taught that something about them, their energy and excitement, is wrong or bad. 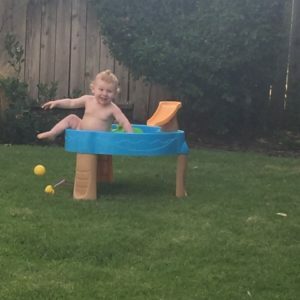 No kid should ever be made to feel ashamed for being who they are, but it is even more tragic when an overwhelming zest for life is made out to be a problem. Everyone loses. Join me in this three part series. 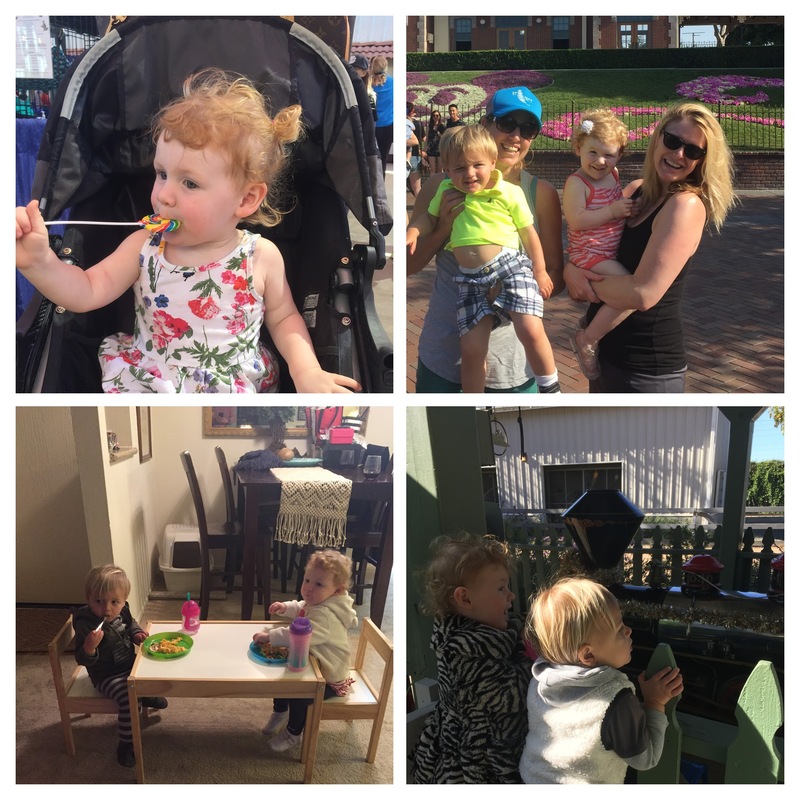 First, I share the story of my son, Beau, and his best friend, Willa. Different as different can be, they have shaped and enhanced each other’s lives and development by bringing out each other’s more subdued qualities. One quiet, one loud. Together, they are a perfect balance. Sadly, though, their special differences will not likely be appreciated equally when they start school. This is a potential tragedy in the wings. In part two, I discuss my beliefs on what a teacher’s responsibility is in regards to supporting high-energy students and offer strategies teachers can use to support even their most hyperactive kids by truly harnessing, appreciating, and using their energy as an asset in the classroom. Finally, in part three, I will offer my thoughts on how parents of high-energy kids can prepare for, deal with, prevent, or even avoid the harsh realities of school for their kids. 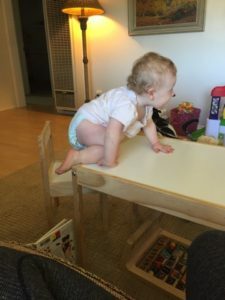 I followed her glance to find her daughter, Willa, standing on top of Beau’s little white kitchen table that Willa had given him for his first birthday. Beau stood on the floor next to her, begging for her to get down. One testing the rules and the other enforcing them, Beau and Willa are three months apart and challenge every stereotype about what “boys” and “girls” are like. Beau, on the other hand, is the definition of cautious. In doing something new, he first watches. He sits, listens, processes, and learns. When he is ready, he begins to test -- each motion, each person, each bite, each step, often fussing along the way. Taking his time, he puts all of the pieces together in his head until confident he can do it correctly. He studies, rehearses, practices, and perfects in his quiet, contemplative way. 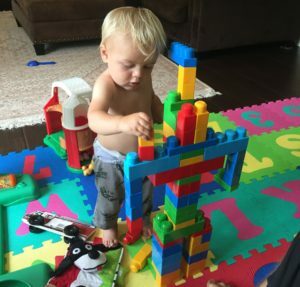 Even when it comes to jumping off the couch or running a course with his choo-choos, he lives a risk-free life, charting a clear path and going over and over and over it to perfection. Beau is a lot of fun, very playful and creative, but he is not the life of the party. He is only social when it suits him. Beau taught Willa how to slow down and how to share the stage, to be more sensitive and patient with others. Willa taught Beau how to defend himself and how to take risks, how to be more outgoing, more trusting of others and of his own abilities. Beau is a fuller, more active little person because of Willa. These two kids are yin and yang and the best of friends. Beau and Willa need each other. They thrive because they pull each other out of their own comfort zones, exposing and giving opportunities to test their more subtle, less dominant qualities. Beau didn’t understand Willa at first, but he learned to appreciate her active, hands-on approach to the world because we as parents fostered their understanding of each other. This was important to us because we wanted to hang out together for playdates but we were also aware that tolerance is a virtue. Beau may whine over silly little things and Willa may hug too hard, but eventually they learned that this is just part of who the other person is. Playdates are selective, they are a choice. We, parents, chose only to facilitate playdates where our kids can shine and are respected for being who they truly are. At no point is one child made to feel like they should be more like the other or do we celebrate our kids’ conformity to playdate “rules.” No, a playdate is about play and our parental focus is on simply teaching our kids to be mindful and compassionate about the needs of others and to teach them to understand what the other needs so that they may both happily enjoy each other. Schools are not playdates. Kids are randomly brought together and expected to conform to the rules of the classroom. Hyperactivity is never a classroom norm. This is what has Willa’s mom nervous. Jenn recognized from the beginning that Willa was exceptional. Willa is a light that beams unconditionally, filling every room. Her energy and zest for life overflows her tiny body. She has the potential and drive to do amazing things in her life. Unfortunately, Jenn knows that Willa’s potential could be hindered if put in an educational setting that doesn’t respect and nurture her exuberant energy or one that stifles or discourages her from exploring her talents and becoming her best self. Sadly, this is already happening. Willa changed due to the atmosphere at her child care. 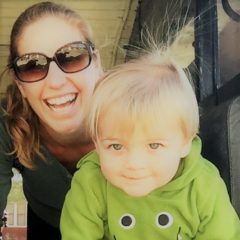 Especially during the transition from in-home child care to a school-style setting, her mom noticed that Willa was not excited about going to “school” after the first few weeks and that she was listless for the first hour after she got home. Sure, she may be worn out from the day, but Jenn thinks it is more than that. 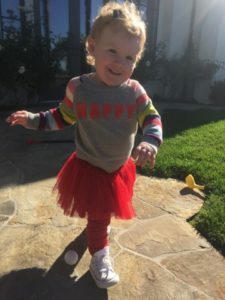 Two-year-old Willa is everything good, fun, and positive -- the life of the party, a friend to everyone, and the first to greet you at the door to make you feel welcomed. She has not yet learned the harsh reality that some people are “different” and that different isn’t always perceived as a good thing. In no way, should she ever be made to feel “different” for being the amazing little girl she is. That would be a tragedy. Yet Jenn senses this is happening and we adults know from experience that it happens so quickly. For Jenn, it’s personal. She thinks a lot about her own life -- the way her parents made her feel “different” -- and how much better her life could have turned out if her assets had been nurtured. Growing up undiagnosed but with Attention Deficit Disorder (ADD) tendencies, Jenn felt like her parents shamed her for being a dreamer, for being distracted by the glorious ideas that filled her whimsical childhood mind. She bottled up her imagination, her true self, her dreams for her future, conforming and hiding her brilliance from the world, and feeling insecure about who she was. School did nothing to challenge her or help her discover herself, so she messed around, got in trouble, and only achieved if she liked the teacher. What made a teacher someone she “liked”? They were energetic, collaborative, passionate, and showed their students recognition. Sad that that wasn’t the norm, right? Jenn wasn’t hyper, but school did not draw out her best. Even today, she is trying to find direction and a way back to her true passions, searching for a career that will fully realize her potential. She does not want what happened to her to happen to Willa--feeling labeled and then cast aside, or feeling like she needs to hide her light. But even more importantly, she wants Willa to be encouraged and inspired to pursue her true self, educated through experiences that bring out her best! Is that too much to ask for? It’s personal for me, too. I was an introvert, content to blend into the walls. In classrooms growing up, I was allowed to be silent, to go unnoticed, and in the end, to be unchallenged. I was happy to be that way, too, because the loud kids--the hyper kids--were always getting into trouble, and, while I felt bad for them, I blamed and resented them for their behavior. Why couldn’t they just behave? It always made the room tense and uncomfortable when the teacher got upset. It wasn’t until now that I realized that it was because the teacher got upset, because the teacher did not appreciate the energy in that time and space and handle it wisely, that they were in trouble. It wasn’t the kids’ faults. It was the teachers’ attitudes, perceptions, and standards that transformed these innocent little kids, my peers, into problems. Perhaps if the teachers had a different mindset or better strategies to help them understand and support the energies of these kids, we would not have lost so much instructional time as the teacher tried to “control” these kids. How relaxed and fun school could have been if the teachers had found joy in these kids and had given them positive and appropriate outlets for their energy! I do not want Beau to ever be forced into a setting where he is uncomfortable because his teacher does not have the tools or the patience maximize the potential of the different types of kids in the class. I never want him to learn that high-energy, highly-spirited kids are “bad.” He adores Willa and to see her subdued or belittled for her energetic approach to life would be a devastation. He loves her exuberance and would not be the person he is today without it! Kids like WIlla, given what they need to succeed, help him to be his best self. Finding a way to use the enthusiasm of kids like Willa would enhance school so much for everyone, teachers included, creating a positive and healthy experience where all children thrive. Stay tuned for Part 2 - How can teachers embrace and engage their high-energy students? While it may be a big change and even a challenge, it is worth! A special thank you to Jenn and Willa for inspiring this article, and for Jenn, especially, for your candor and confidence. I love being your comadre!